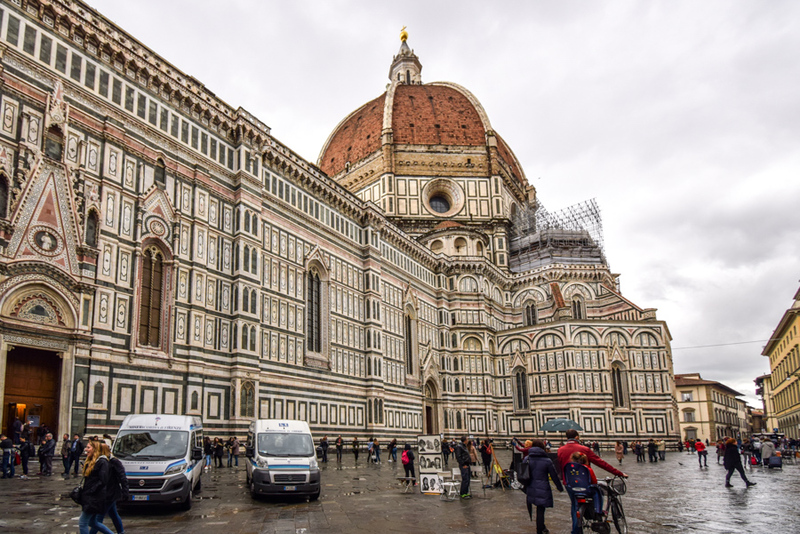 The Dome of Brunelleschi, that dominates the skyline of Florence on top of the Santa Maria del Fiore Cathedral, is truly an architectural and engineering masterwork! Its construction took 16 years, it was completed in 1436, and to this day it’s the largest masonry dome in the world! 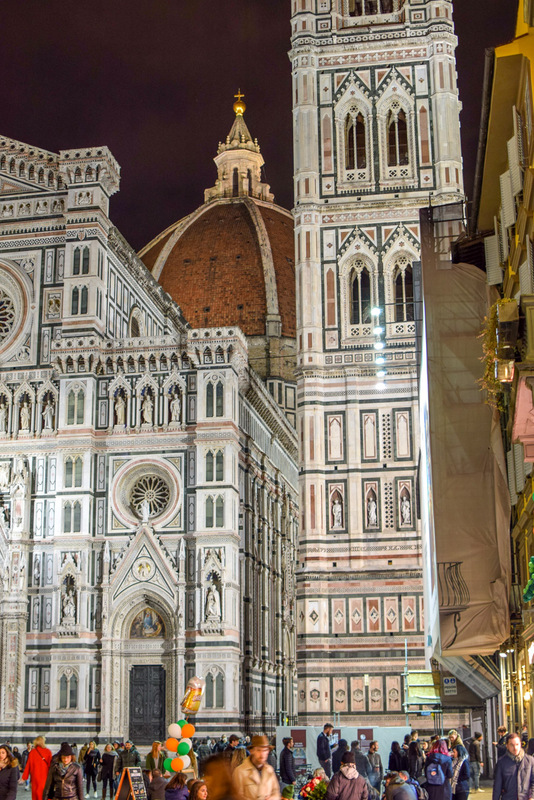 It is still unclear how it was possible to build, since Brunelleschi left no plans behind! There are several theories, but the exact technique is unknown. What is certain is that the structure was quite ahead of its time. 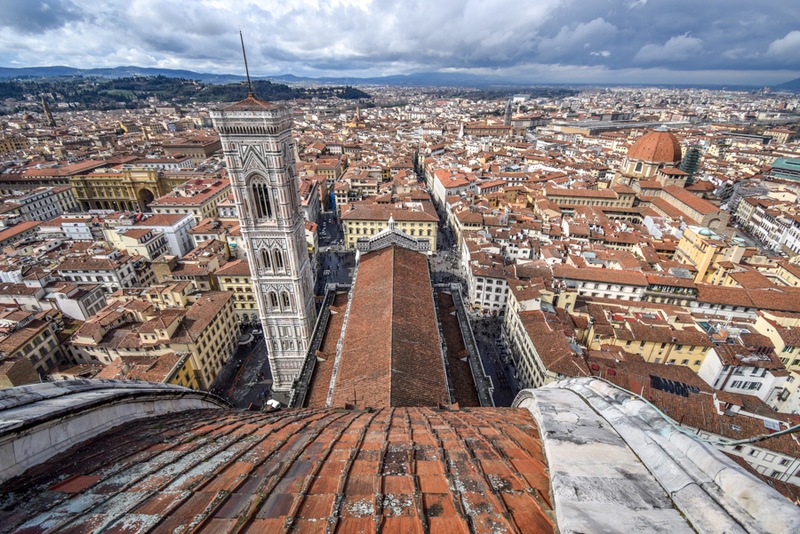 The building of the Santa Maria del Fiore Cathedral began in 1296, when the city was blooming, and the city fathers decided that it was going to have the largest dome in the world. 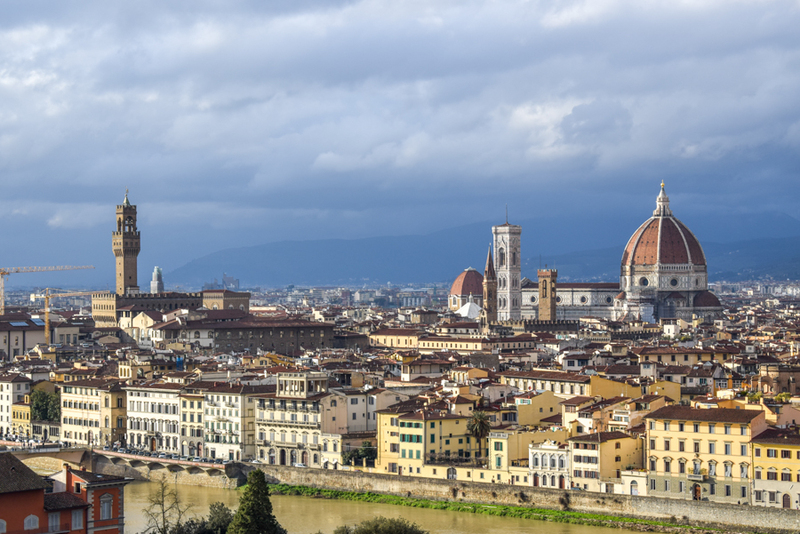 Europe needed to recognize Florence as one of its economic and cultural capitals. However, many decades later, they still had no idea how to build a dome nearly 45m across (150 feet), on top of the 55m high (180 feet) octagonal walls. They didn’t want to use the flying buttresses and pointed arches of the Gothic style, favored by rival cities like Milan. But back then it was the only known solution for such a large structure. How else could a tens of thousands of tons dome stay up and not collapse inward? So in 1418 they launched a contest for the perfect dome design, with a 200 gold florins prize (and of course eternal fame). 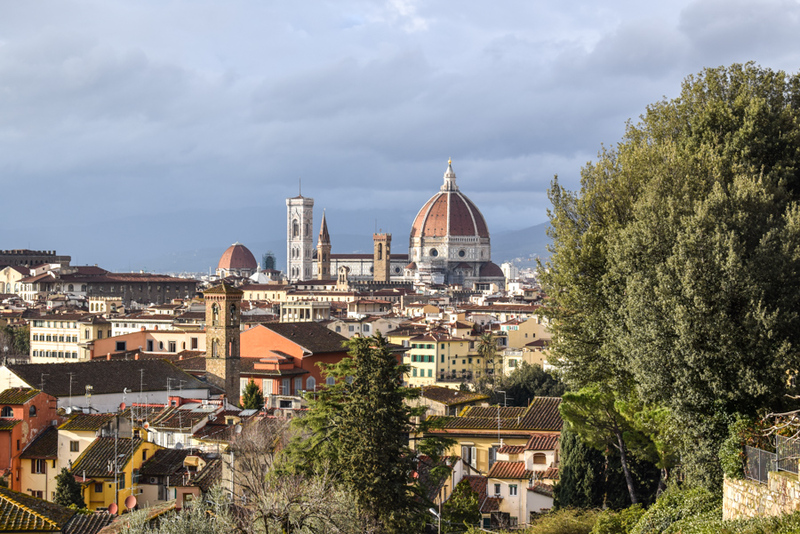 A lot of architects hurried to Florence with their ingenious plans, but the one that stood out was Filippo Brunelleschi, with his plan of building two domes, on nested inside the other. 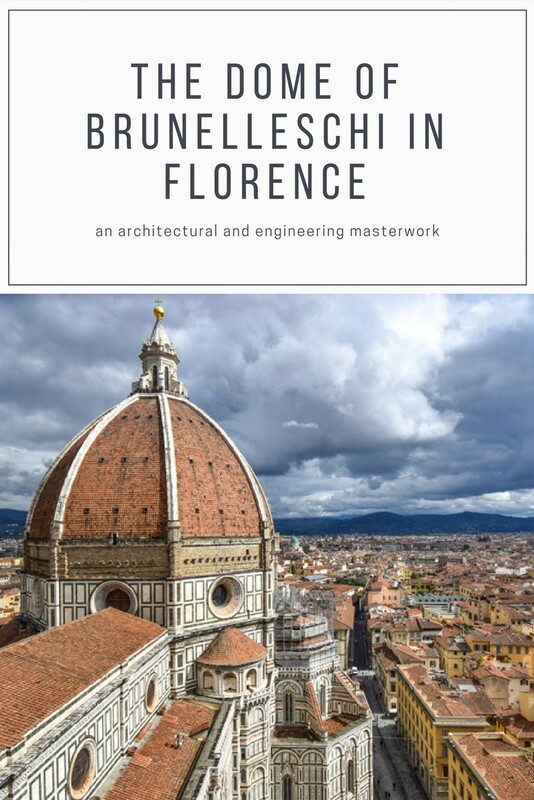 Brunelleschi was a goldsmith and a sculptor that didn’t have architectural studies, but was very passionate about mathematics and the study of antiquity monuments, having made a lot of trips to Rome for this matter. 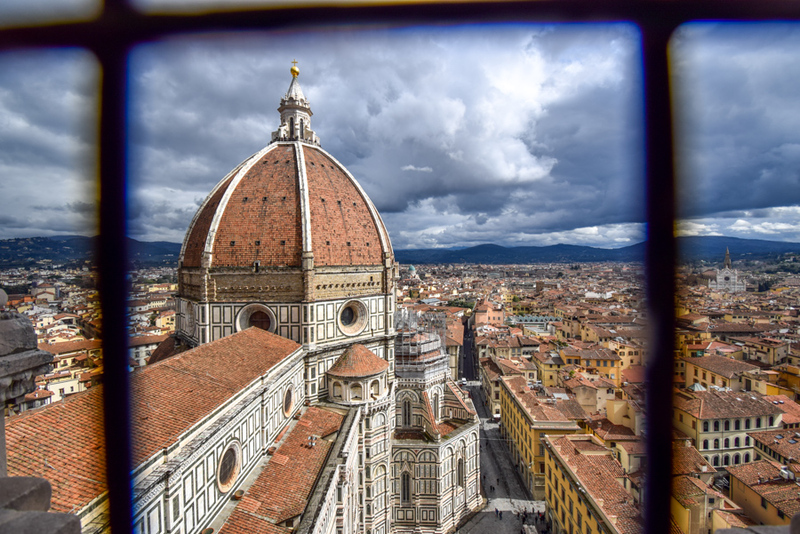 Brunelleschi refused to explain how he meant to build the dome, fearing that others would steal his ideas, but he proved trustworthy give his experience in drawing, painting, woodcarving, bronze and silver sculpting, and also tinkering all kinds of machineries, including watches. Through his theoretical and mechanical knowledge he worked out the rules of linear perspective, a method by which a three-dimensional space can be created on a two-dimensional surface. His plan was to build two concentric domes, binding the walls with tension rings of stone, iron, and wood to counteract the weight stress, like hoops on a barrel. He was going to build the first 15m (46 feet) in stone, and then continue with lighter materials, such as bricks, to reduce the weight of the structure. Brunelleschi even invented a machinery for lifting building materials from the ground. Later on, he built other lift machineries that were so ahead of their time, they were only equaled by the industrial revolution. He also came with the idea of lining the bricks in a herringbone pattern for additional solidity, a technique that very few knew at the time. In 1436 the Dome was finished and consecrated, to the cheering of the proud locals. 10 years later a decorative marble structure, also designed by Brunelleschi, was placed on top. Shortly after, the artist died and was buried in the crypt of the Cathedral. 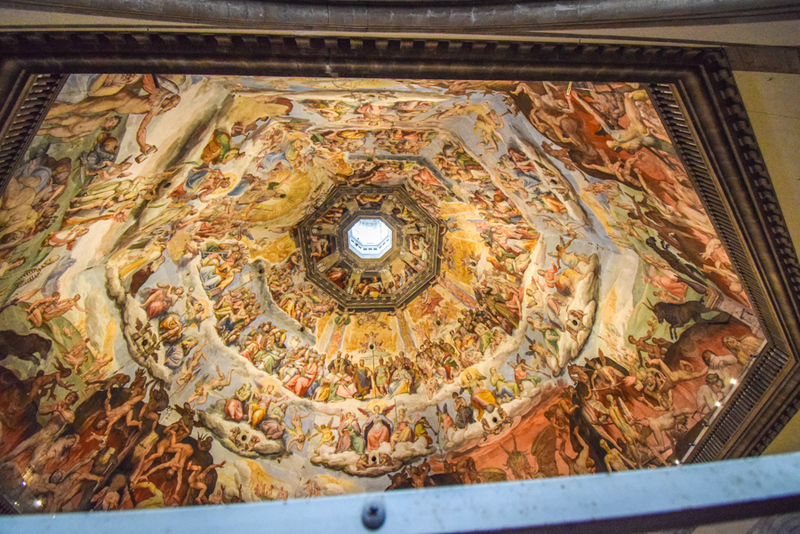 However, the Dome was not completely finished and a few years later Baccio d’Agnolo, an Italian woodcarver, sculptor and architect, won the contest for designing the upper part of the drum. He designed a balcony on one of the eight facades of the dome and, as tradition required, he started to seek the opinion of the people of Florence. Amongst others, he asked Michelangelo, whose artistic opinion was taken as law at the time. He reportedly exclaimed: “It looks like a cricket cage!”. Works were immediately stopped and to this day the other seven sides remain unfinished. Brunelleschi’s burial in the crypt of the Cathedral was a huge honor. Before him, very few people, among them a saint, were allowed to be buried there, and architects were only considered humble craftsmen. But Filippo Brunelleschi, through his genius, raised artists to the rank of sublime creators, worthy of eternal worship alongside saints. In fact, he paved the way to the Renaissance cultural revolution, inspiring many artists through his works. 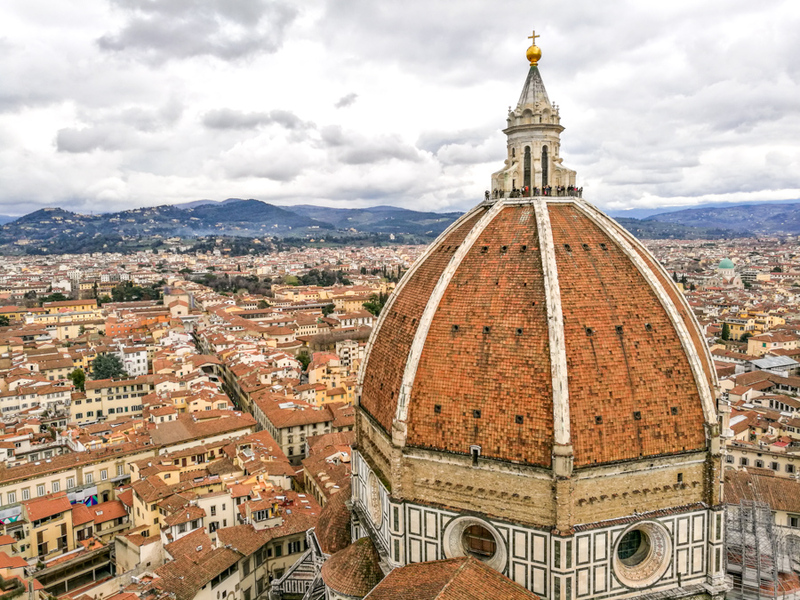 His Dome, in perfect proportions, still rises today proudly over Florence’s rooftops, and remains the largest masonry dome in the world! Its round profile, so different from the straight and pointed lines of the Gothic style, symbolized the freedom of the Florentine Republic from Milan’s tyranny, and also the liberation of the Renaissance from Middle Eve’s constraints. I find it fascinating that we still don’t know for sure how Brunelleschi built the dome, it remains a romantic mystery of the past. 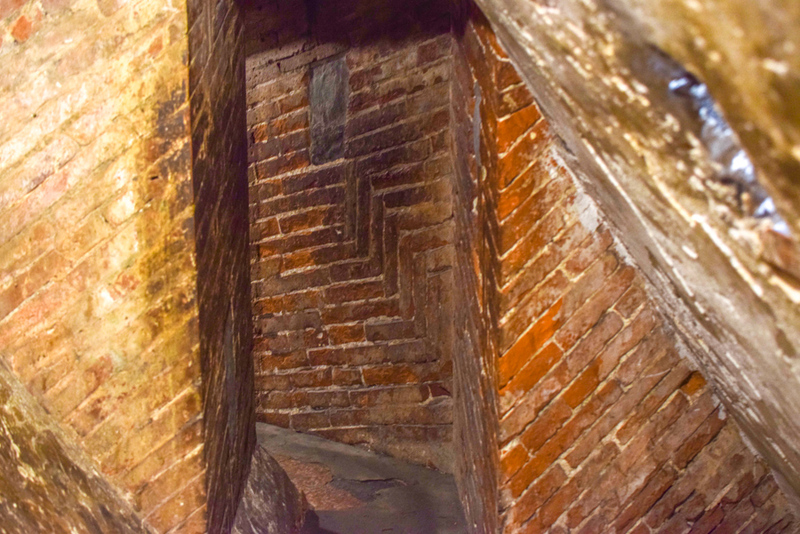 It was so impressive to see the building personally, to climb to the top of the dome through narrow corridors that the craftsmen used a long time ago, to see the herringbone patterned bricks that were lined up one by one, under Brunelleschi’s careful guidance. I love to feel the past through these amazing timeless structures. Oh, and what a glorious past Florence had! Some of the most splendid artworks were created here, and are now spread in museums around the world. 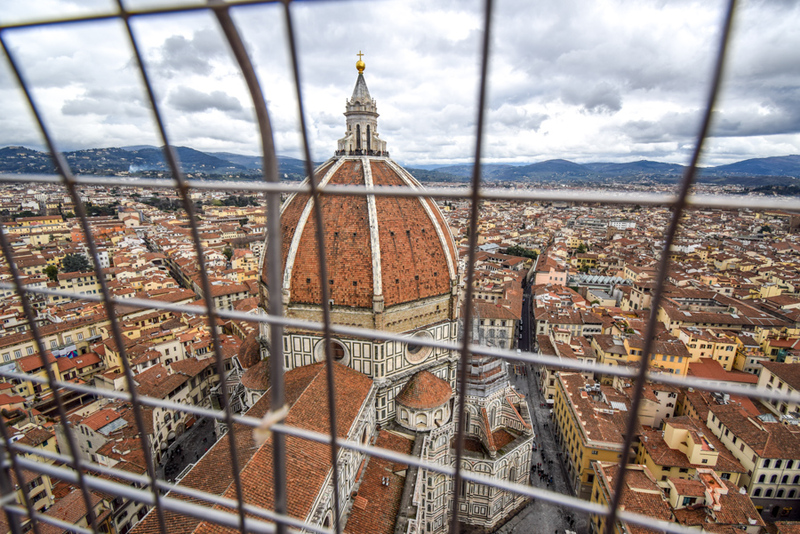 But Brunelleschi’s dome stays home, crowning Florence’s skyline forever. Love it? Share it! Let’s connect on Pinterest.